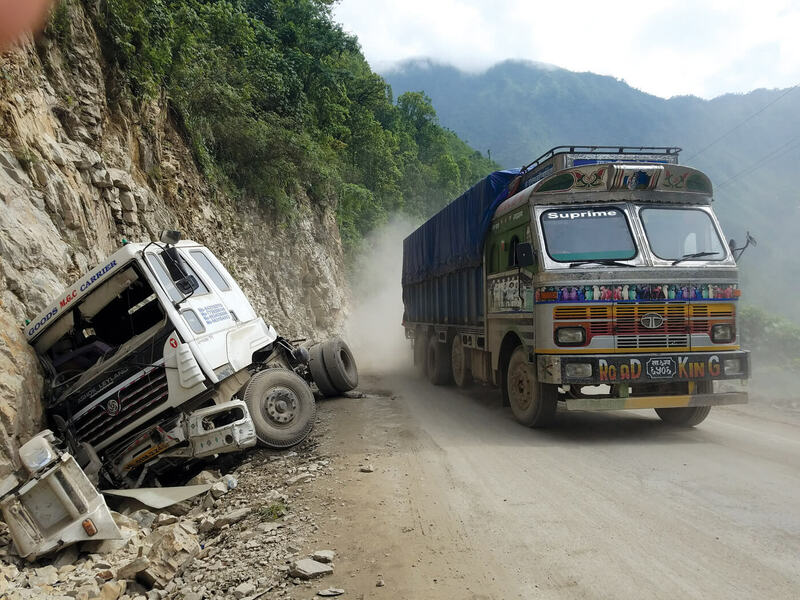 At least seven people were killed when a bus heading to Narayangad from Beni lost control and fell 70m from the road down to the Kali Gandaki River in Kusma Municipality of Parbat district on Thursday. A bus plunge from a crumbling highway in Tulsipur last month killed 22 and maimed 15 — most of them students and teachers from a technical school in Ghorahi on a field trip. 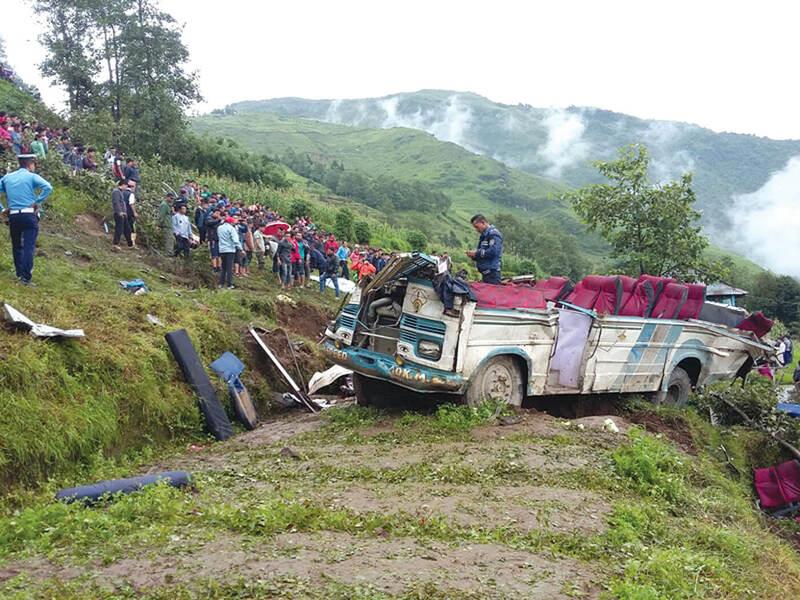 A mini truck skidded off a dirt tract in Nuwakot and plunged several hundred meters in Dupcheshwar rural municipality on 14 December, killing 22 out of the 40 on board the lorry. The passengers were returning home to Sisipu after performing funeral rites for a fellow villager. In just one day that week, Devi Prasad Rai of Kerabari in Morang lost his life when a bus hit him near a fuel station. 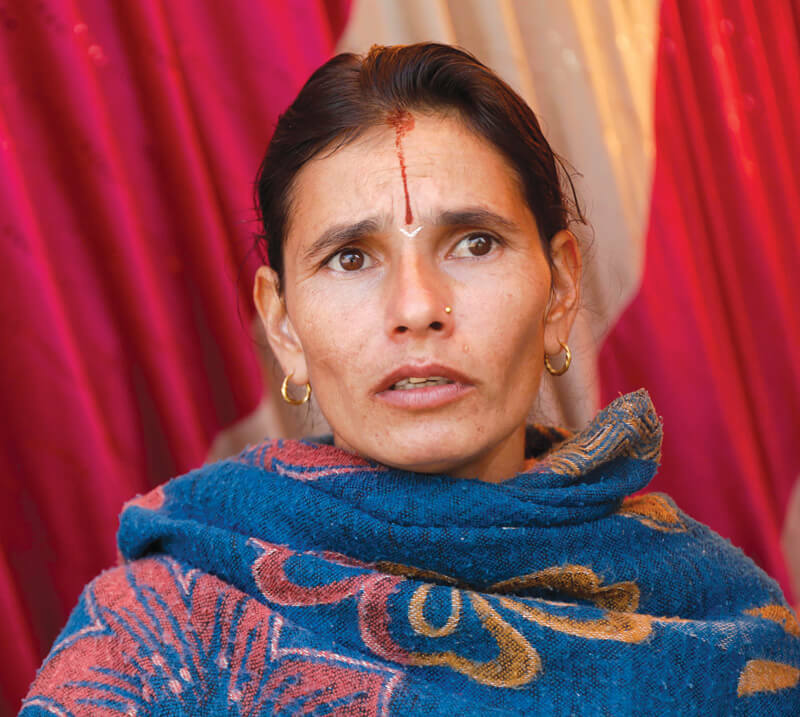 Dhan Prasad Giri, 63, and his 29-year-old son were killed by an Indian-registered truck. Nirmala Karki of Gauradaha of Jhapa was hit by a school bus and died. In the past five months alone, 1,176 people have been killed across Nepal in what police call ‘road traffic accidents’ (RTA). This is an increase from last year, and with more vehicles driven by negligent drivers on poorly-built roads, fatalities have gone up sharply in the past decade. The district-wise data of total fatalities from 16 July 2017 were collected by a Nepali Times team over two days this week, and shows that the majority of road traffic mishaps have occured in crowded urban areas in the Tarai and Kathmandu Valley. 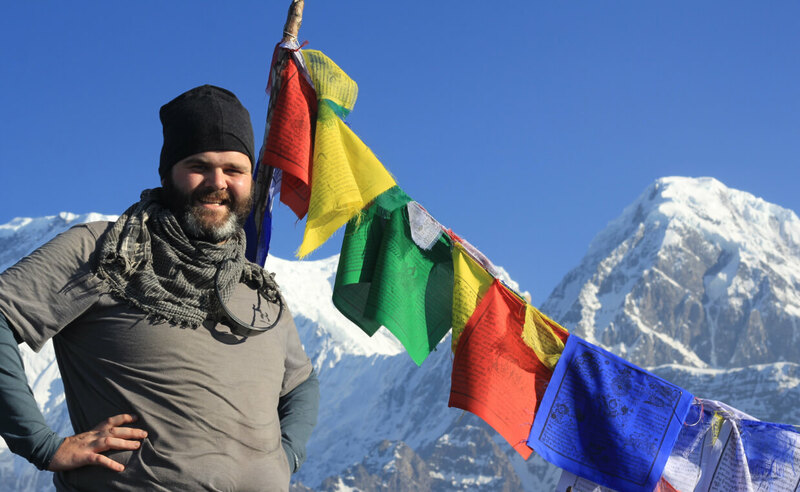 But even Dolpo has had three serious accidents, killing 20 since the first roads were built four years ago. 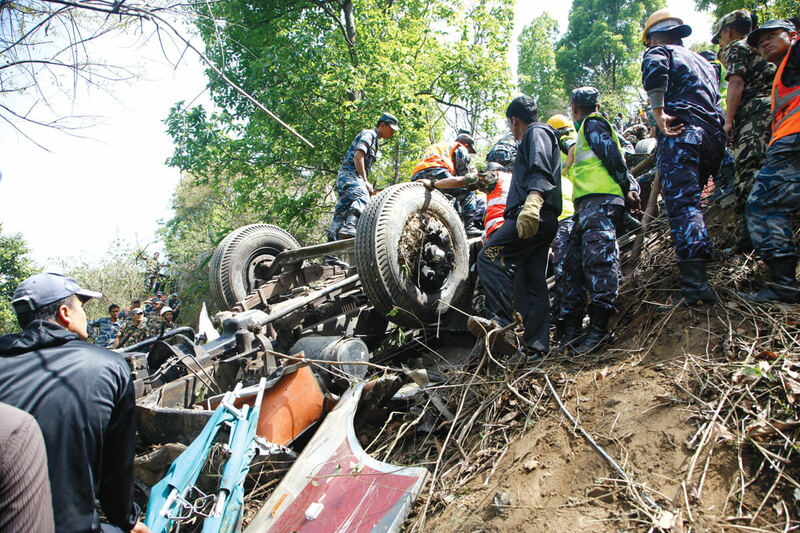 In the last 10 years, 22,461 lost their lives in RTA, according to Nepal Police. While most were men, women made up 3,577 of the fatalities, and of the total, 2,440 were men and women below 18 years of age. Police records blame 95% of accidents in Nepal on negligence of drivers. Mechanical failure, poor road condition, careless pedestrians and bad weather accounted for the rest. However, even though over-speeding, over-loading are major causes, the number of accidents caused by poor road maintenance, and the presence of animals and pedestrians on highways are probably under-reported. This means the blame ultimately goes to lax Police monitoring, and government apathy in completing road construction and maintaining minimum safety standards. The Department of Transport Management, the governing body responsible for safe and reliable transportation does not even seem to acknowledge that road safety is its responsibility, taking an ‘accidents happen’ attitude. There is no effort to enforcing and implementing existing laws to ensure safety, and none of the officials interviewed for this article appeared to recognise that the rising number of road traffic accidents was a national emergency that needed a strategy for mitigation. Article 257 of the Vehicle and Transport Management Act 1993 authorised the Department of Transport Management to appoint transport supervisors to fine or seize driving license of individuals violating traffic rules. But 26 years on, not a single transport supervisor has been appointed. Article 67 of the Act also clearly states that the co-drivers also need to obtain licenses from the Department, but none has been issued so far, admits Tirtha Khanal, head of the Vehicle Monitoring and Provincial Coordination Division. “We are a small five-person office. It is impossible for us to monitor such a huge number of vehicles in Nepal,” said Khanal. There are more than 3.2 million motorcycles, cars and trucks registered across Nepal and the figure is growing exponentially. The Act further states that all vehciles must have passed pollution tests and possess a vehicle inspection report, and drivers are required to take a half-an-hour of break after four hours on the road. Passenger vehicles are also restricted from carrying more people than the total number of seats, and long-distance vehicles should have two drivers with change in shift after 6 hours. In March 2018, the government amended the Vehicle and Transport Management Rules and banned buses older than 20 years. But eight months later, these polluting old vehicles are still on the roads. The Department of Transport Management spent Rs60 million to build the Vehicle Fitness Test Centre in Teku in April 2017. Built to originally conduct a complete health check-up of vehicles including emissions, and condition of brakes, chassis, headlights, spring balance and wheel load, most of the testing equipment do not work and the tests cannot be carried out. “At the moment we are only able to do emission tests, and fasten loose bolts, most of the equipment do not work and we don’t have plans to repair it anytime soon either,” says Chief Engineer Ramchandra Paudel bluntly, as if it is no one’s responsibility. 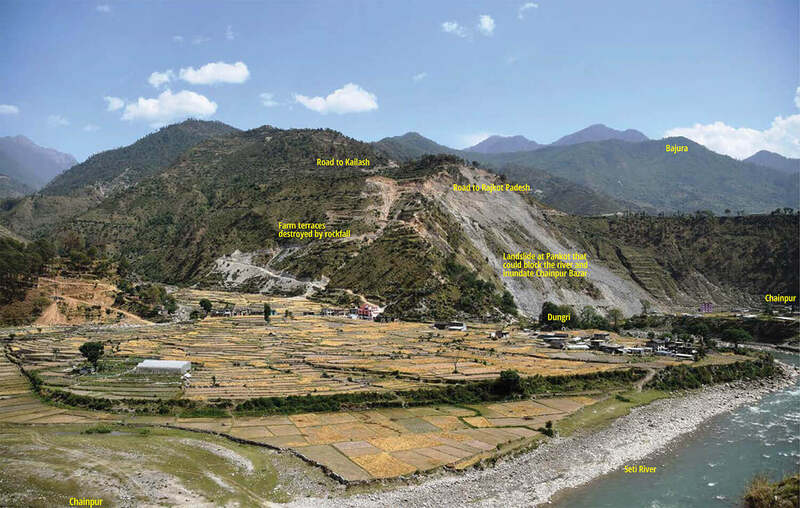 There are no vehcole test stations outside Kathmandu Valley. The only good news is that the number of drink driving cases and fatalities caused by them have gone down significantly in Kathmandu Valley. Called ‘MaPaSe’ by its Nepali acronym, the Police’s campaign against driving under the influence of alcohol has saved thousands of lives since 2012. Between July 2017- June 2018 there were 32,234 men and 58 women drivers who failed breath analyser tests. On a daily basis, 1,500 traffic police officers work to manage the traffic in Kathmandu Valley and in the last five months they penalised 185,436 individuals for violating traffic rules — 1,236 per day. Similarly, 472,407 vehicle drivers and owners were fined in the last fiscal year. A whopping 3 million people have been penalised for violating various traffic rules in the last 5 years and this has resulted in the government earning more than Rs1.238 billion.